The ScaleDRIVE accessories are able to turn your models into a fully functioning truck. Our accessories make it possible to upgrade the truck models in a 1:13 (Tamiya®) to 1:16 (Bruder®) in a cost-effective way. 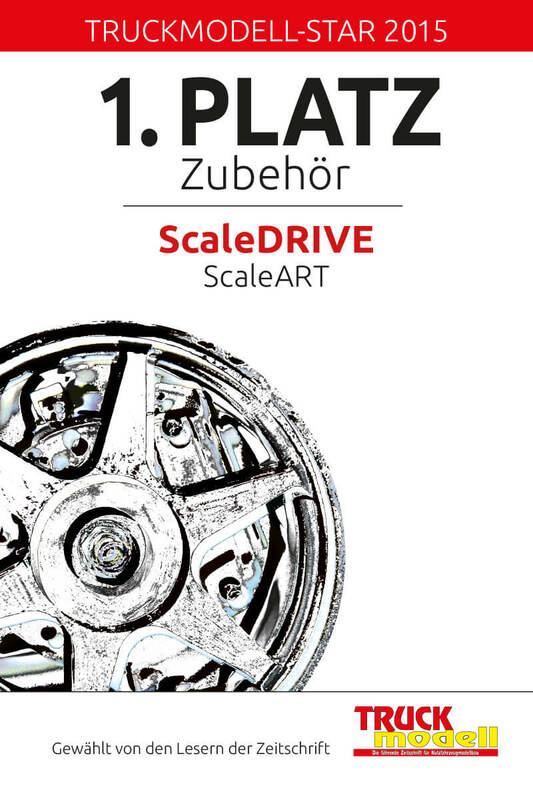 ScaleDRIVE offers the best compatibility possible with models by the manufacturers Tamiya®, Wedico® and Bruder® . The great value for money is ideal for hobby and professional collectors alike. Only a commercial tool is required assembly. Our ScaleDRIVE program can be found here, and there it is also possible to find the perfect accessories for your own projects. Our accessories fit plug and play in all Tamiya® models. Make a small modification to your model and use our programme with the different chassis systems. We also carry a drive technology consisting of drive axles, manual transmissions, cardan shafts and much more. The axle suspension such as the pendulum suspension and the high-quality bronze leaf springs are also possible parts for your model. In addition, ScaleDRIVE’s wide range of products also includes the parts that give your model the perfect polish. Your model becomes a unit with our accessories.